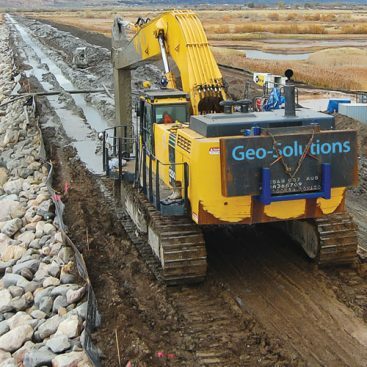 Geo-Solutions was contracted to install a cutoff wall extension along the L-31N canal. 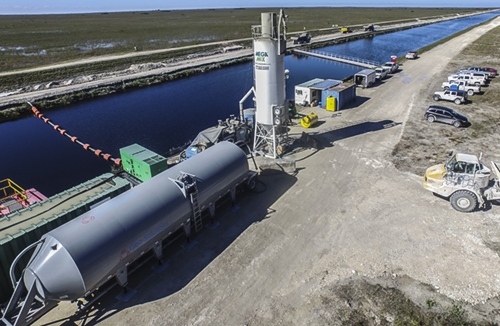 The CB cutoff wall was installed through a porous limestone subgrade to reduce water loss from the adjacent Everglades National Park into the L-31N canal. Prior to installing the CB cutoff wall portion of the project, an abandoned 54-inch, double-barreled, corrugated metal culvert structure, located within the path of the cutoff wall, was removed in order to install the cutoff wall continuously. Minor site preparation was necessary in order to construct the barrier wall. 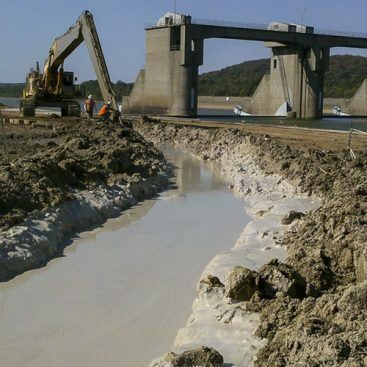 This work included stripping our work area to remove vegetative materials, and installing erosion and sedimentation controls to prevent materials from entering the adjacent canal. 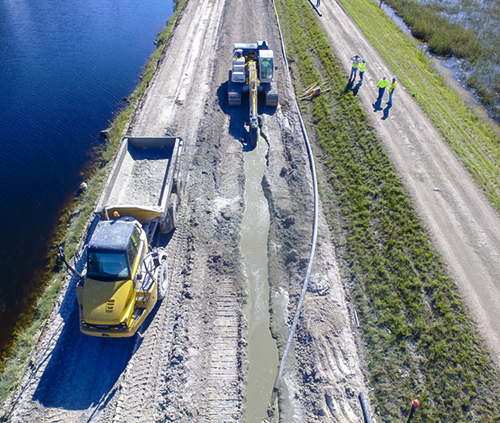 The CB wall was installed on a narrow work platform at the toe of an existing levee between the Everglades and the canal. The cutoff wall was pre-trenched through very hard limestone with a rock trenching machine to full depth along the entire alignment of the cutoff wall. The pre-trench was backfilled with excavated spoils which allowed the CB cutoff wall to be installed using conventional slurry trenching techniques. Site restoration included loading trench spoils for transport/offsite disposal, restoring disturbed areas to original grade, and seeding. Geo-Solutions provided turnkey construction of the CB wall. 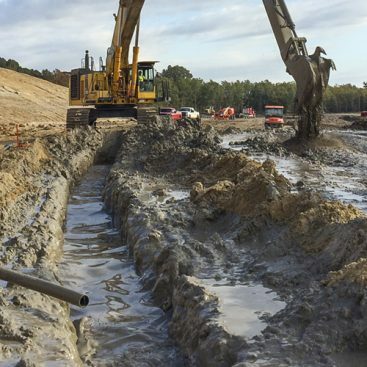 Key specialty equipment for this project included Geo-Solutions’ custom, long-stick Komatsu PC490 excavator, fully automated CB batch plant and bentonite slurry mix plant. 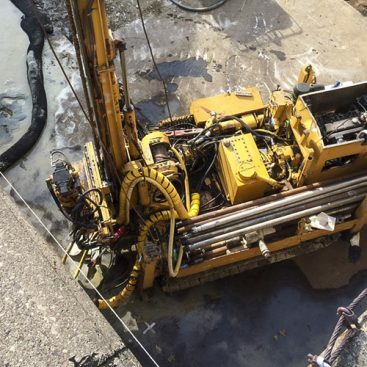 Due to the remote location of this site, significant coordination of material deliveries were critical for ensuring that the cutoff wall was installed without interruptions. The CB cutoff wall met or exceeded the requirements for Unconfined Compressive Strength (UCS) and permeability. The project was completed ahead of schedule, within budget and with zero recordable incidents.